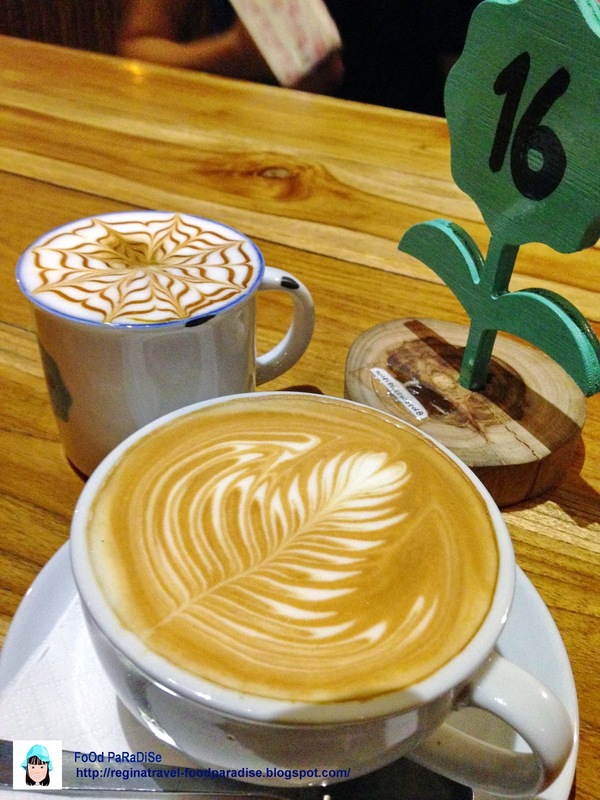 Coffee on the table @ Lebuh Pantai, Penang. My friend came over to Penang for the CFAL cycling campaign last month. So after the event she stayed back for another two days to visit some attractions in Penang. 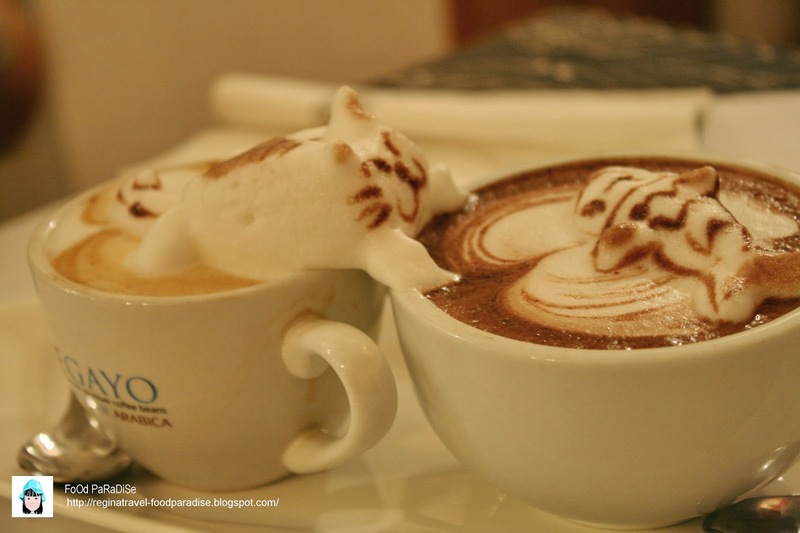 Just one day before she left, we had dinner together and after dinner, we decided to visit the popular 3D coffee arts. 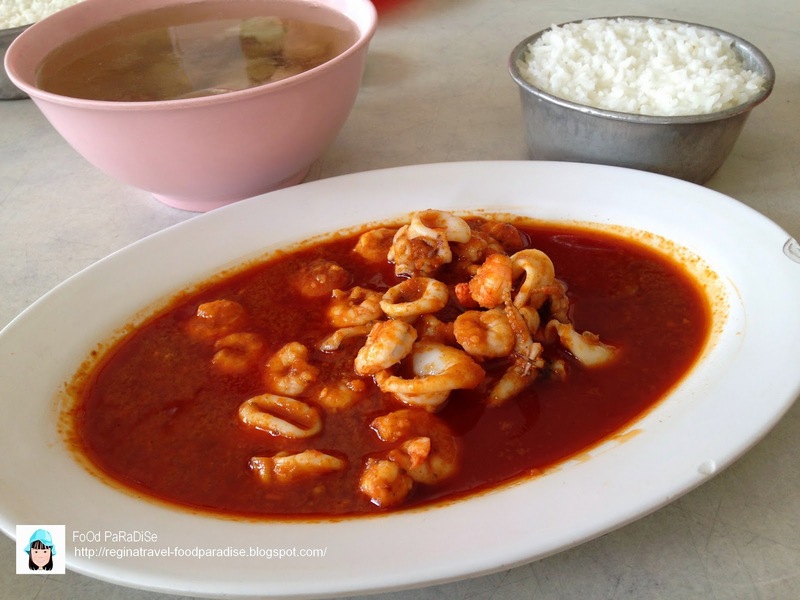 Location: 164 Lebuh Pantai, 10200 Georgetown, Penang. We were greeted by the waiter after we enter shop. He asked us whether we are coming for foods or coffee? I told him just for the coffee. So we were brought to a table and seated down. The environment vice is quite comfy just that it is quite hot for us as the place that we were seated, they did not on the air conditioned but later they switch it on after more and more people came in. Cappuccino, Cafe Latte, Cafe Mocha, Vanilla Latte, Hazelnut Latte, Caramel Latte and hot Chocolates. We were introduced by the waiter to try their cake to go with the coffee and hot chocolate that we ordered. So we decided to share among 3 of us. 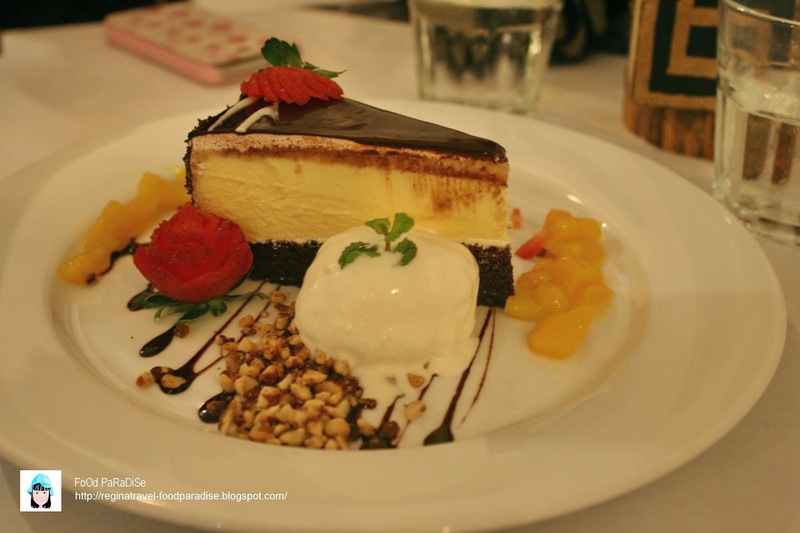 We ordered the following cheese cake. The desserts looked appealing. It was quite nicely presented. It came with a scoop of ice-cream. By all means sorry for the melting ice-cream as we were busy taking photo plus the environment is a bit hot. The waiter was kind enough to ask us about their cake. I told him that I would prefer the cake is more chiller. After few minutes later, he came back and told me that I am right, their chiller is set a bit higher on that day. 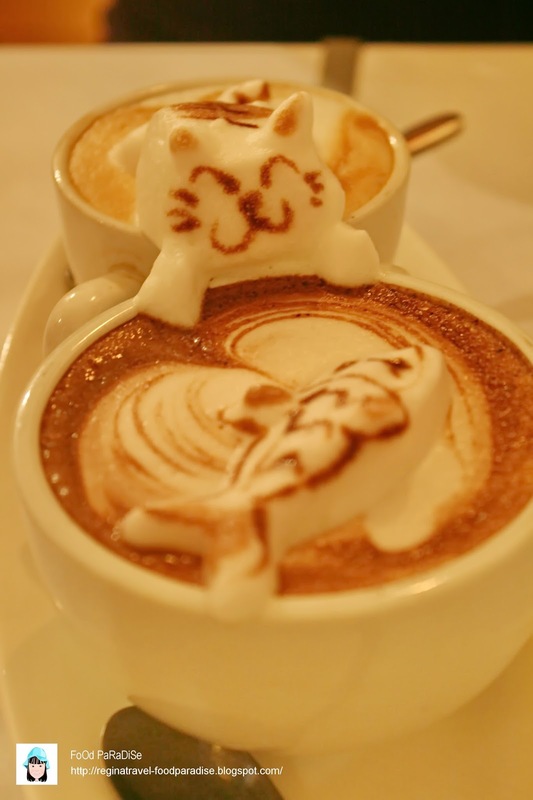 Hubby had the Cappuccino with the big fat cat 3D design and whereas I have the hot chocolate with the fish design. 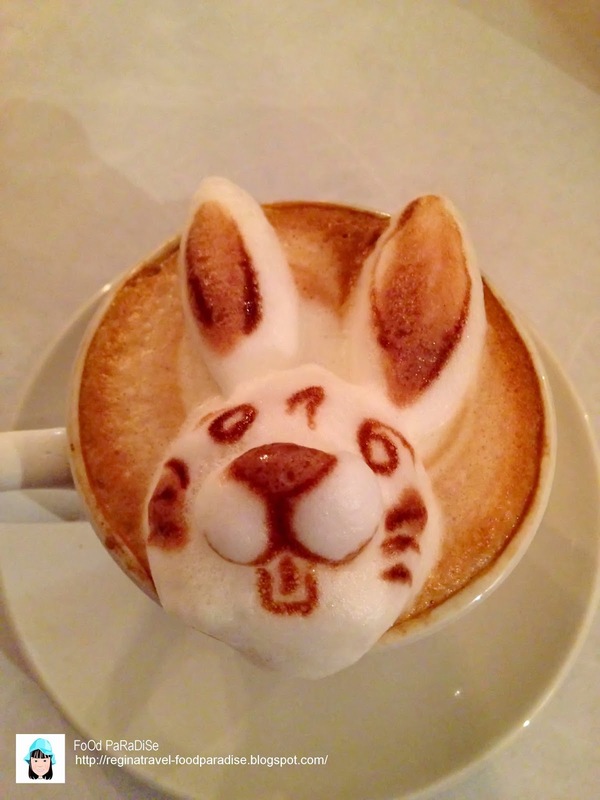 My friend had cafe Mocha with the 3D bunny. The next two 3D art is belong to the next table. I just snap shot it for fun! 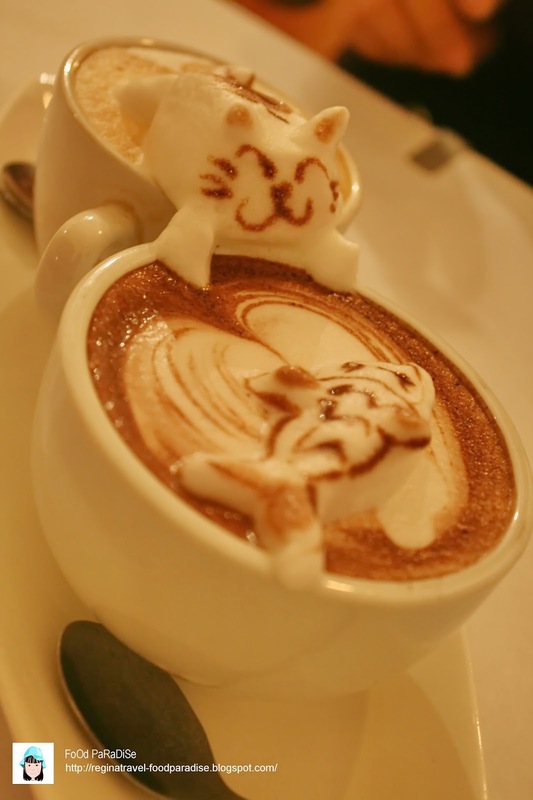 FoOd PaRaDiSe verdict: Be patience and wait if you intend to order the 3D art coffee or hot chocolate drink. They take sometime to do the 3D art. 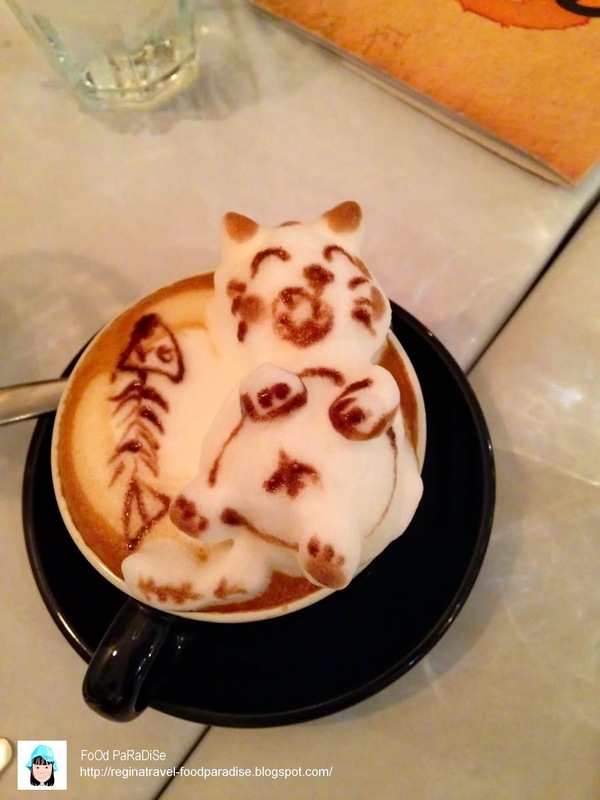 If you are in the hurry, I guess that you should skip having the 3D coffee. The services provided for us during our dinning time were nice. At least after I left the comment, they look into it straight away. I think they have room to improve. I will try out their foods in the next visit. 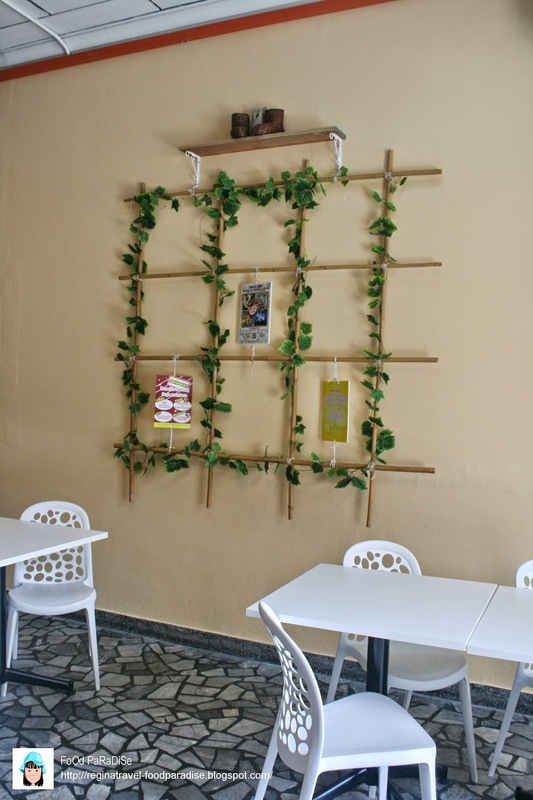 The place that I am going to blog about is another place to go when you thinking to have some vegetarian and healthy cuisine. This remind me that the Nine Emperor Gods Festival (九皇爷) fall from 24.09.2014 till 02.10.2014 this year. Which is absolutely is another place to drop in. 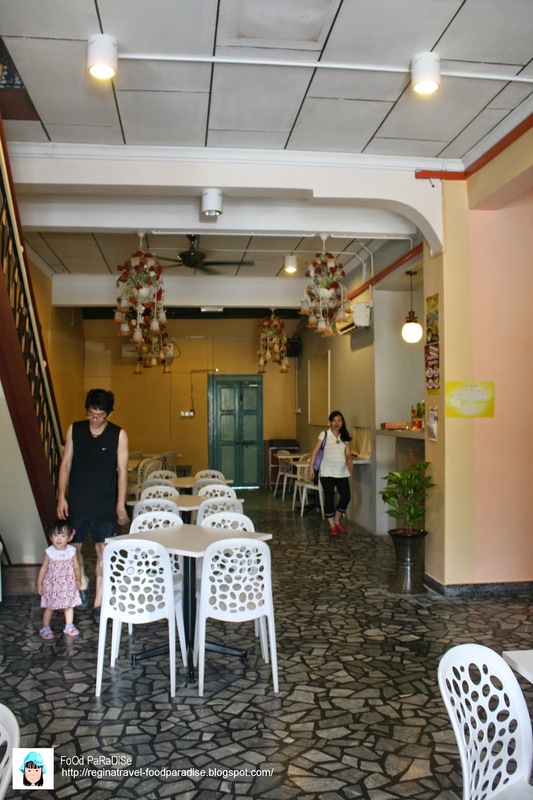 Address: 4A Lorong Selamat, 10400 Georgetown, Pulau Pinang. 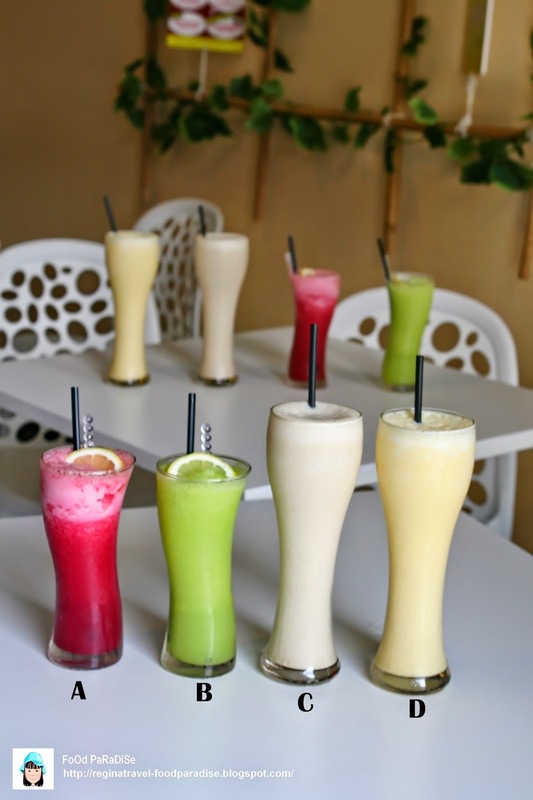 As for the starter, I would like to introduce some of the juices that offers in the shop. Mixture of pineapple, beetroot and lemon. I am having this. It tastes more towards sour due to the lemon. Mixture of celery, apple and bitter gourd. This is actually a nice appertiser to start with. The owner was telling us that base on the customer feed back about the spicyness of the pumpkin, they reduce the chili while marinate the pumpkin. The taste of this appertiser for me is actually like mango. 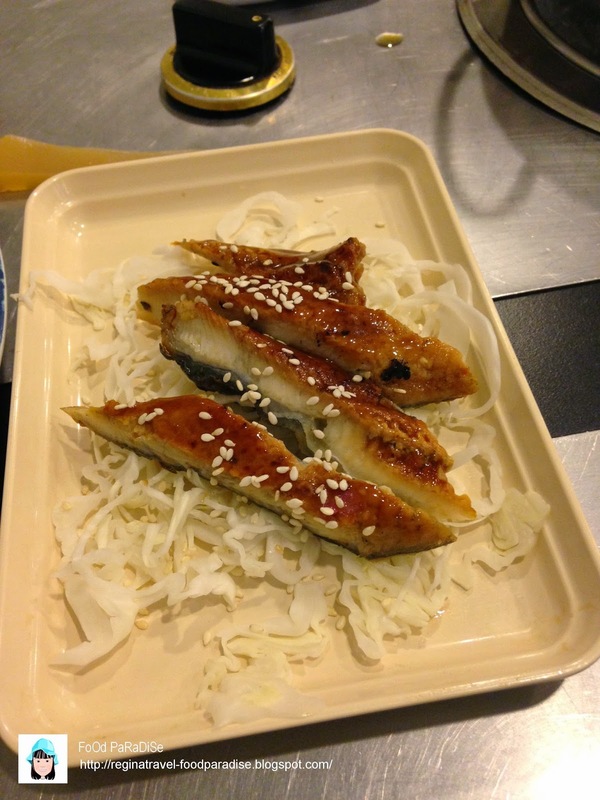 This deep fried eel is another dish to recommend. 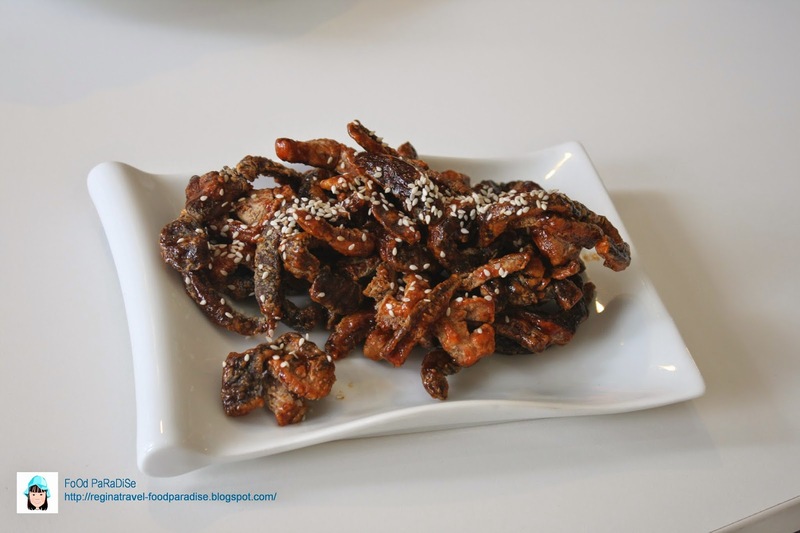 I love the deep fried mushroom coated with the special sauce and the hint of fragrant sesame seed topped on it. If you like something sour and hint of spicyness, perhaps you could give this a try. 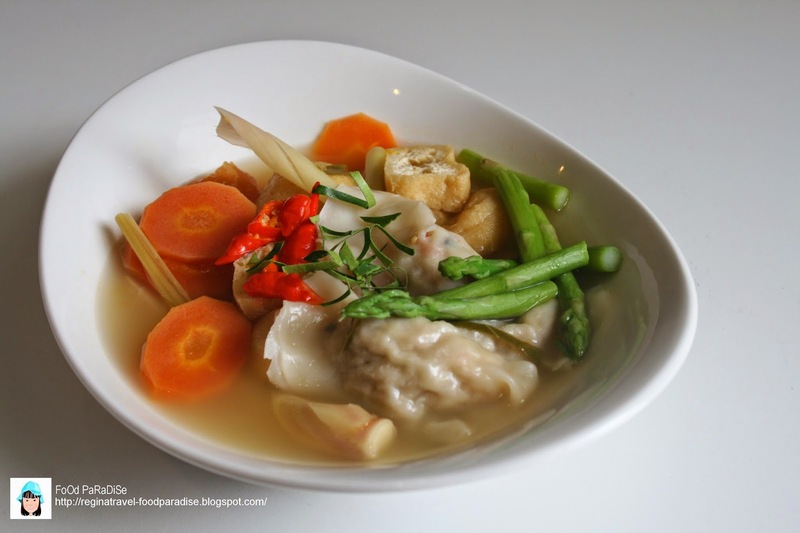 It is actually consists of vegetables, dumplings, fresh mushrooms with fresh lime, chilli and lemongrass. 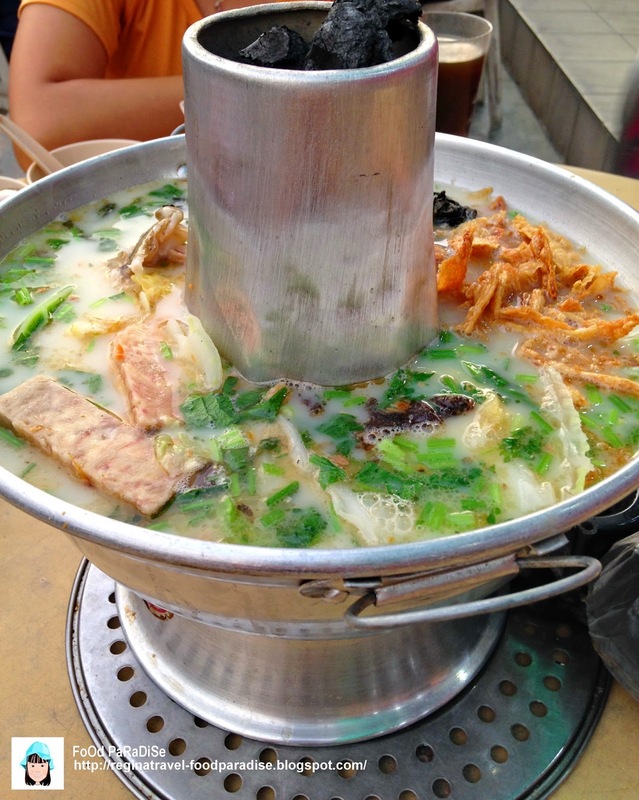 This claypot bak kut teh consists of soy meat pork ribs simmered in a complex broth of herbs and spices including star anise, cinnamon, dang gui and fennel seeds for six hours. 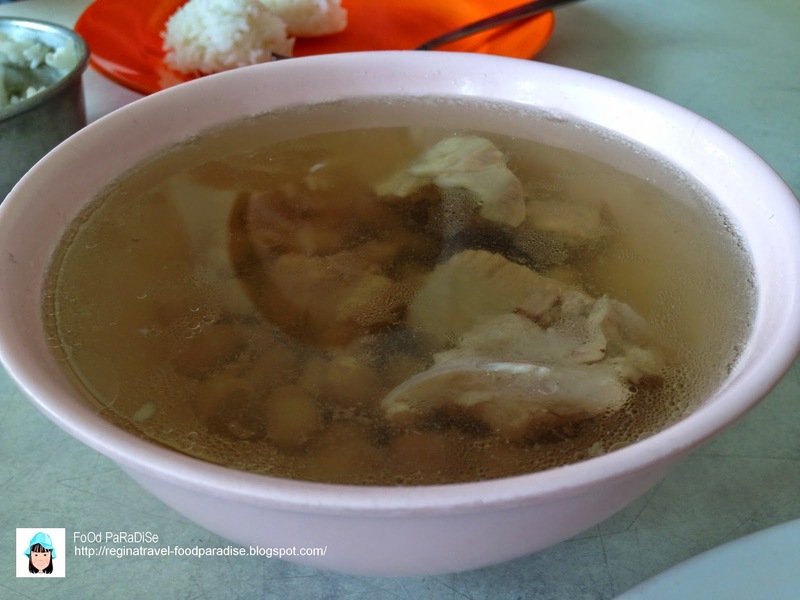 If you like stronger herbs flavour of bak kut teh, perhaps you could give this a try! It like the texture of the spaghetti being served here. At least it is not soft and lumpy. 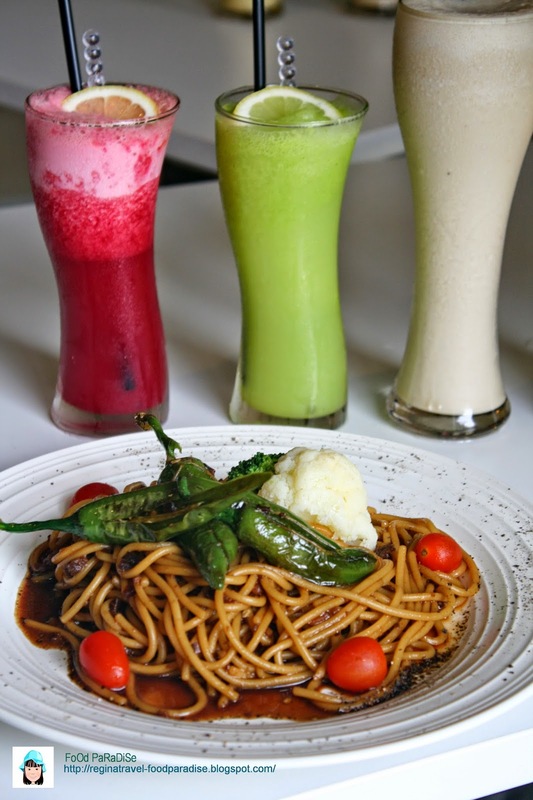 But beware of the chilli served in this plate of green peppeer bolognese spaghetti. For me, I feel that the spicyness is ok but I think will be a bit too spicy for those who can't take spicy food. 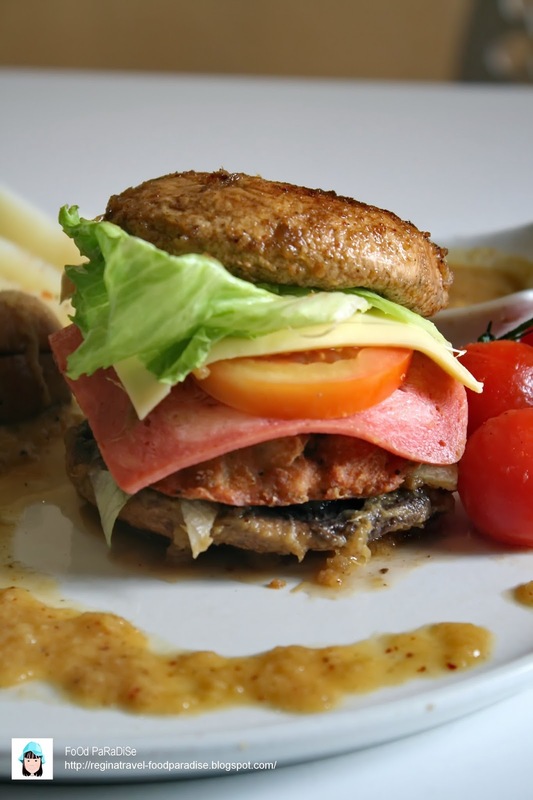 If you like to savour this plate of Portobello Giant Mushroom Burger, please call them two days in advance. As it is a pre-order item. This is Coya signature breadless burger. 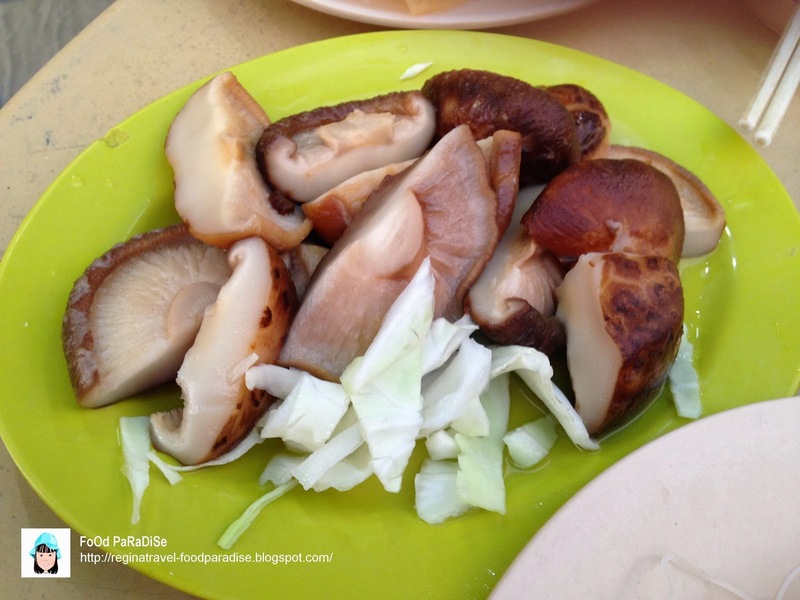 They marinate the Portobello Giant Mushroom in mild spicy pineapple paste and cook under low heat to maintain the tenderness and trap the juice inside the mushroom. 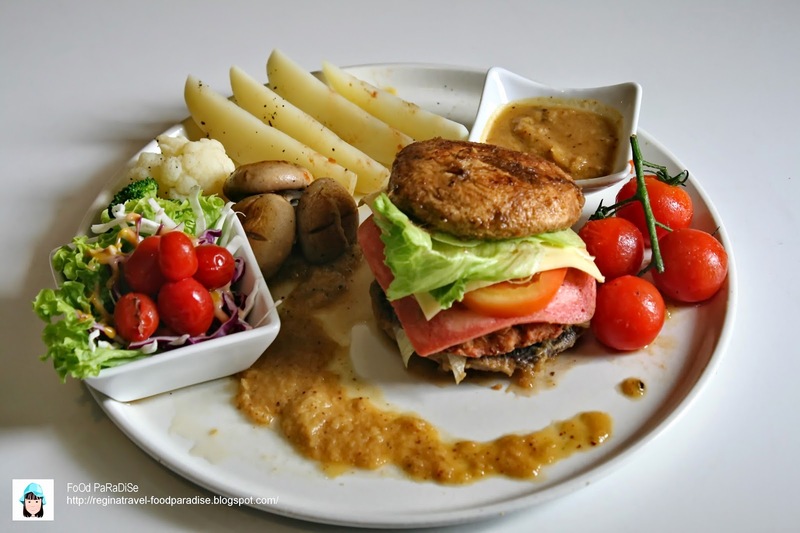 As for the burger they use Hericium Erinaceus Mushroom, potato and mix together with the herbs and spices to form an unique vege burger. 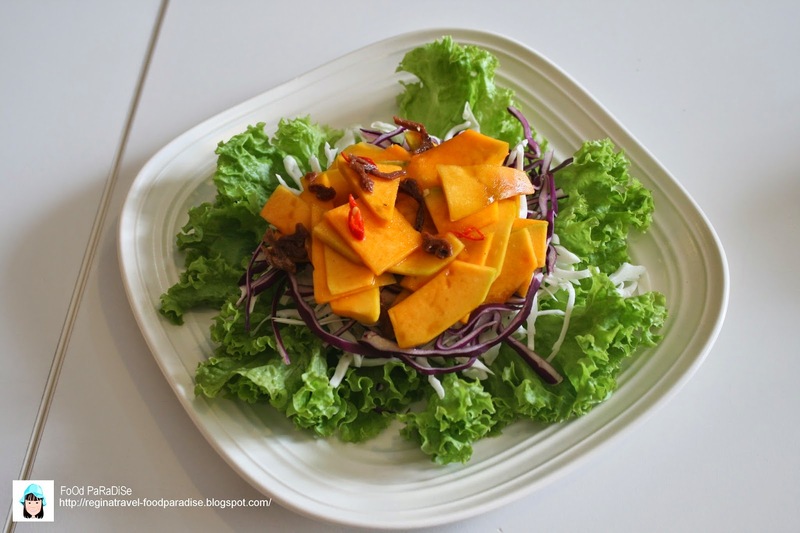 COYA Healthy Cuisine is going to cook healthy foods every day for 10 days from 23.09.2014 till 02.10.2014 during The Nine Emperor Gods Festival. 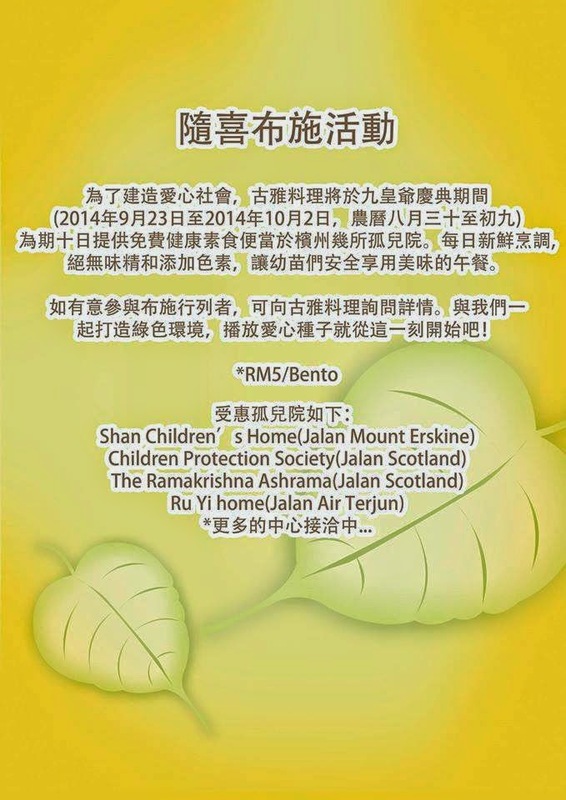 They will supply lunch to Shan Children' Home @ Jalan Mount Erskine, Children Protection Society @ Jalam Scotland, The Ramakrishna Ashrame @ Jalan Scotland and Ru Yi Home @ Jalan Air Terjun. If you would lke to make a donation, please contact Coya Healthy Cuisine. 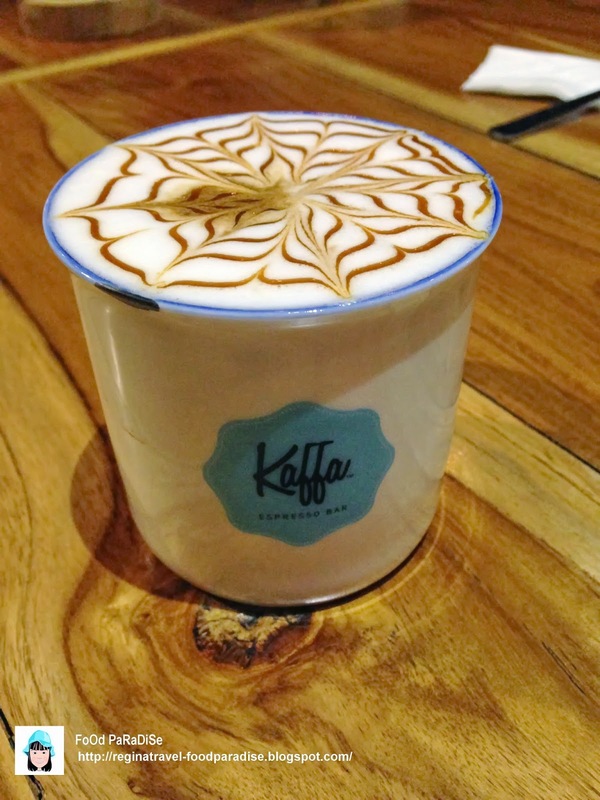 Kaffa Espresso Bar @ Penang International Airport, Penang. 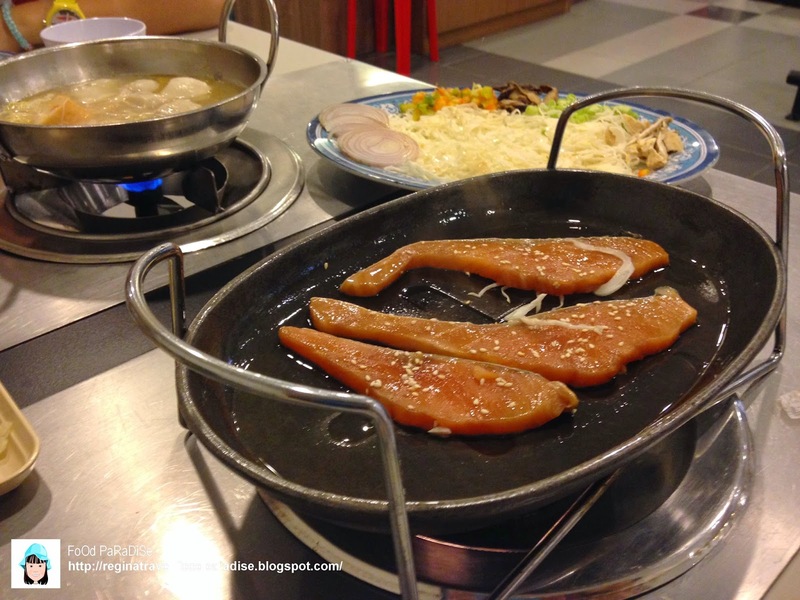 FoOd PaRaDiSe verdict: I would said this is another choice to choose while dinning in Penang International Airport. I was highly recommend by a friend to try their Salted Caramel Macchiato. For me, it's something different. 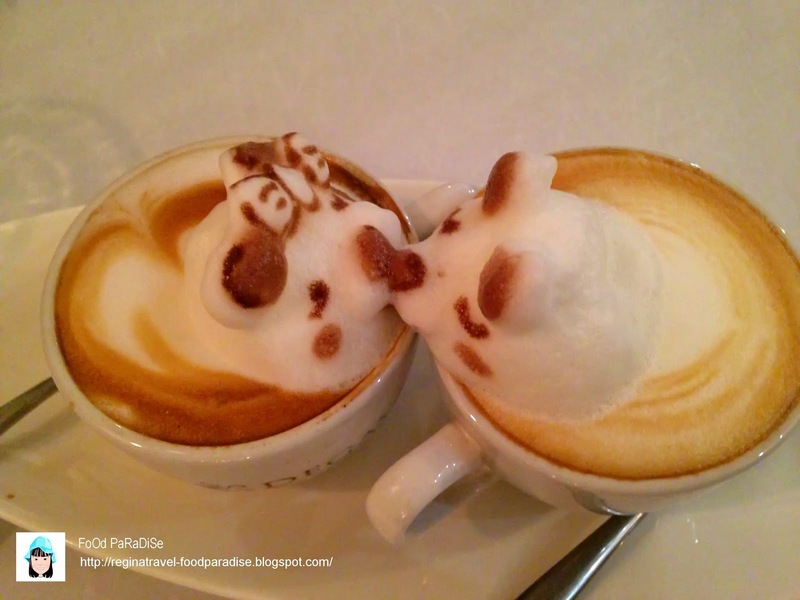 As for my hubby, he still preferred the normal coffee. 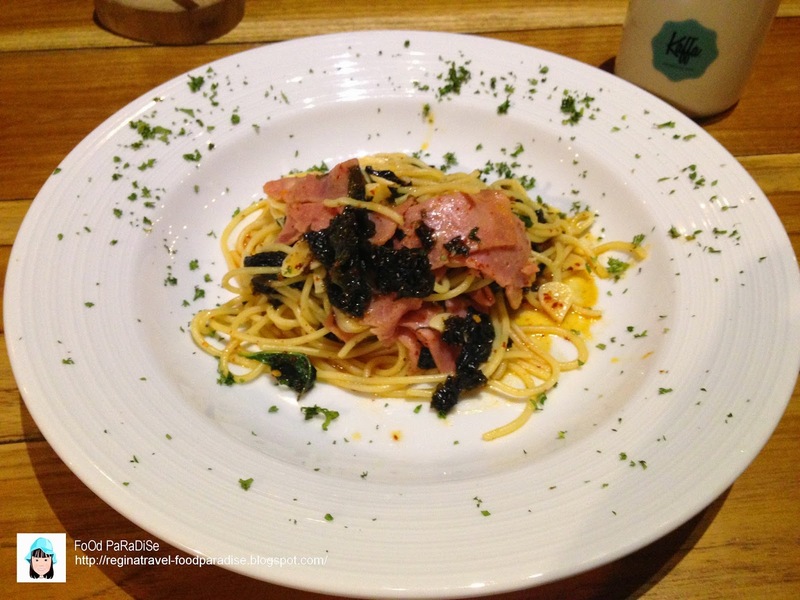 Hahhahahaa........ As for the food vice, their aglio olio is something different from others. Worth to try if you are adventured person. 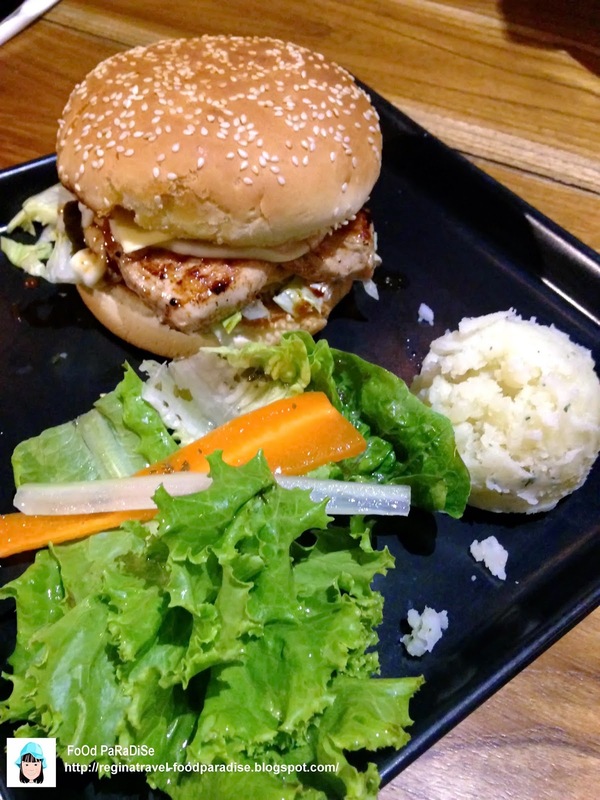 I prefer the grilled chicken burger over the sandwich as it is a bit too sweet for my liking. However, I enjoyed the simple salads and mashed potatoes though. Something to balance the sweetness from the chicken sandwich. 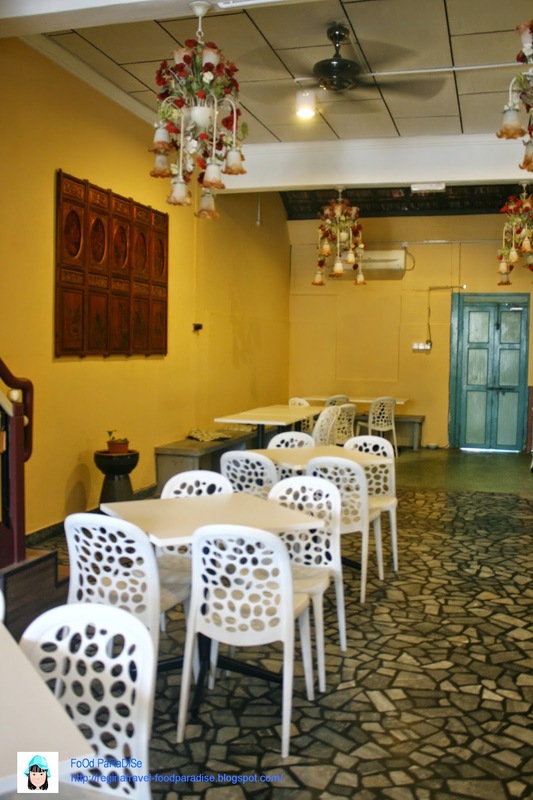 Location: 6525 Jalan Raja Uda, 12300 Butterworth. 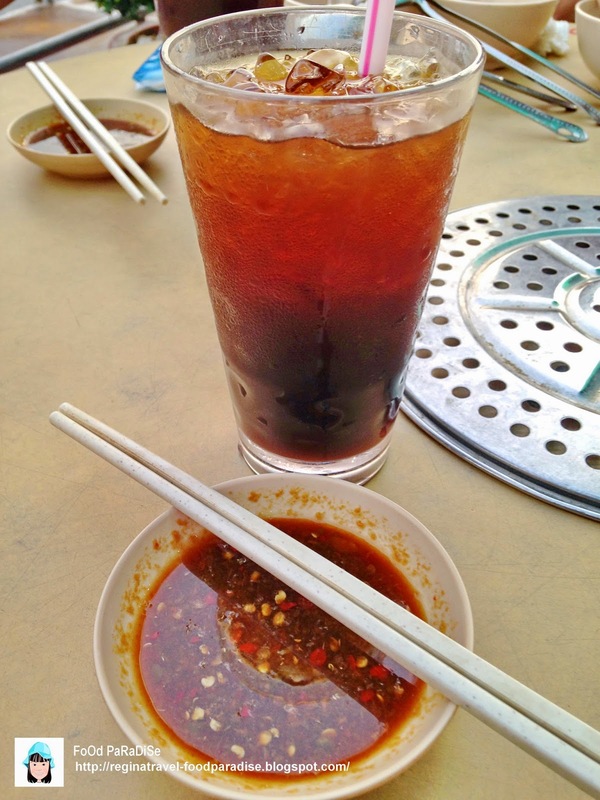 During one Sunday late afternoon, we went to Prai to settle something. After finished everything, we headed to Raja Uda for dinner. However, we did not know what to eat. 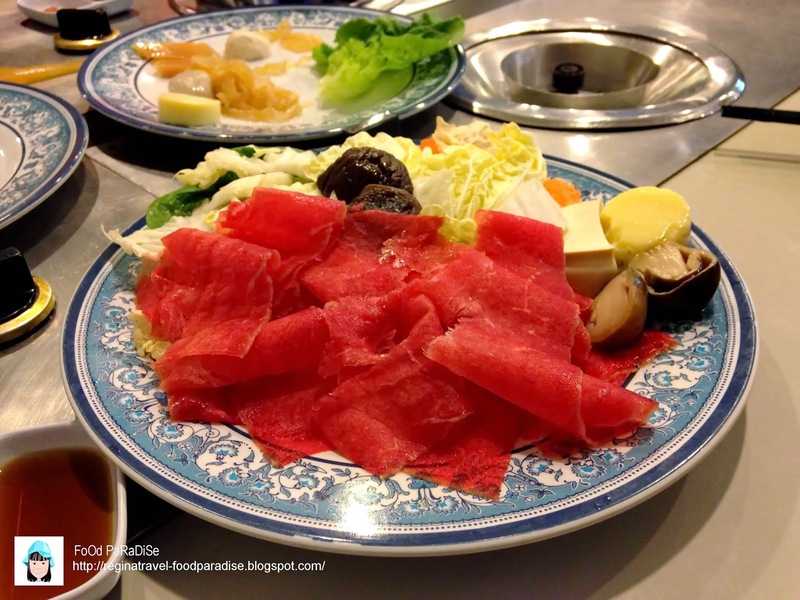 Then suddenly I recalled that hubby want to try out Zi Wei Yuan Steamboat (紫薇園魚頭火炭爐) for quite a long time. So I suggested that he stoped by there for dinner. The restaurant was so crowded when we arrived around 6:25pm. We were told that inside were full. Then we seated outside. Few minutes later, we were told that there were seat inside but it will be bit hot in there. So we decided to stay put. FoOd PaRaDiSe verdict: It was a great dinner. Love the soup base. In our next visit I think will order extra deep fried yam and the fish ball. 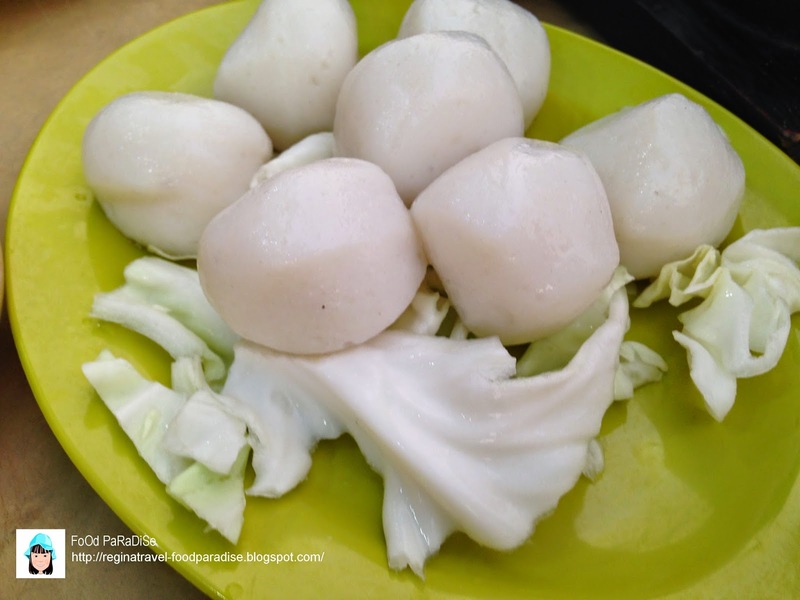 As my gal loves it very much and the fish ball is very springy. I manage to taste one of it only. We did not order extra as yet we need to finish the other foods that we order. 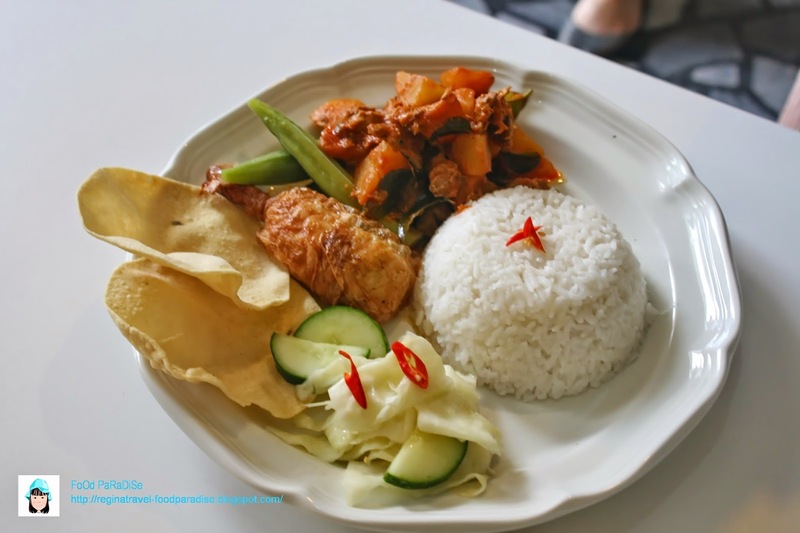 Total bills: RM87.50 ( for 4 persons including 3 drinks and two white rice). 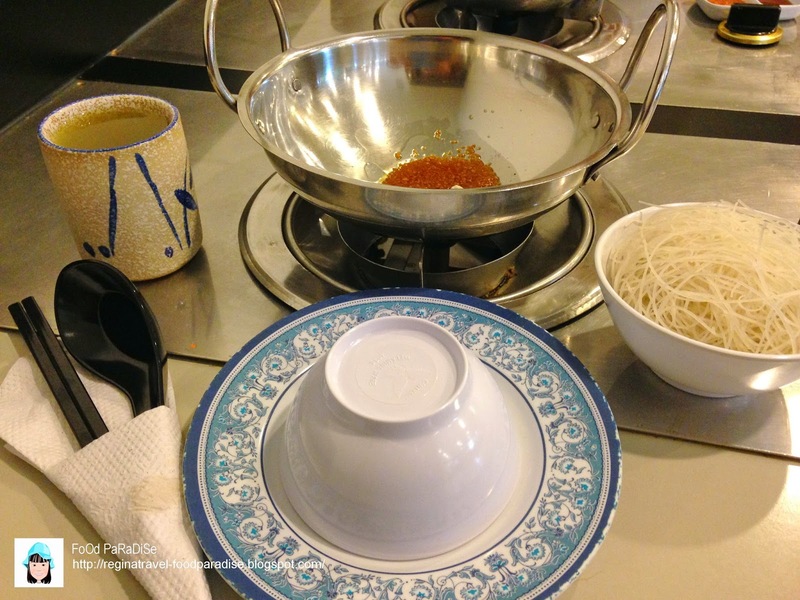 While waiting for our steamboat to be served, we saw couples of tables were eating Yew Char Kuih. And one after another. 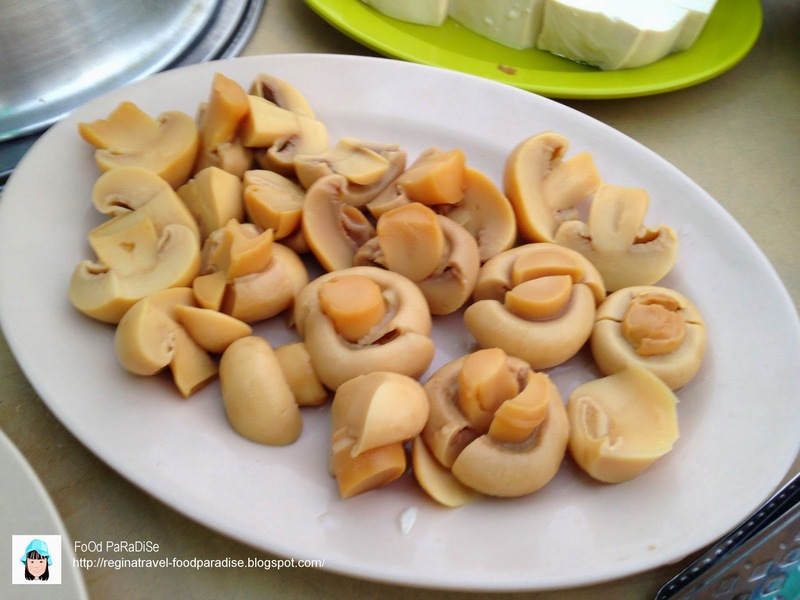 We were puzzle where is the Yew Char Kuih (油条) came from. 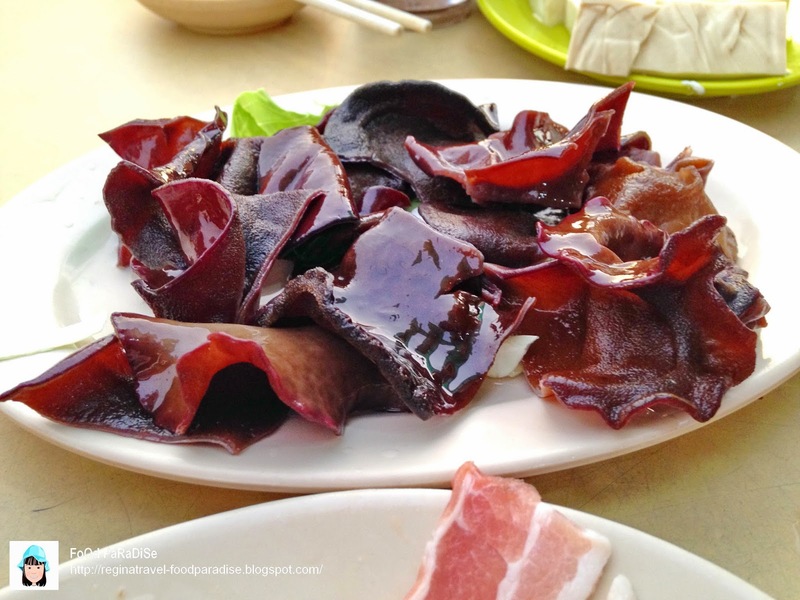 Some ate ham zi peng （咸煎饼). 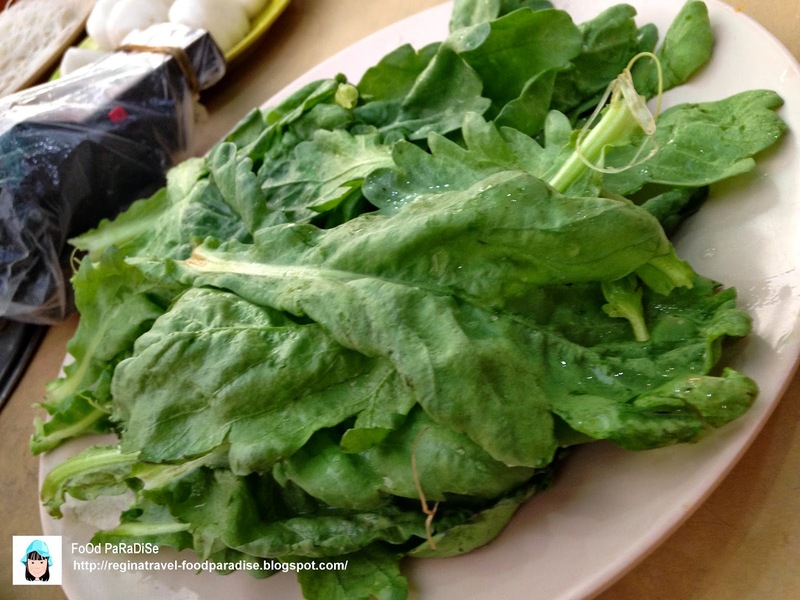 So when our foods being served we asked the waiter where did they bought the Yew Char Kuih (油条)? "It's just next door. You can get it by walking." If you BUY 10 you will get FREE 1( 买十送一). 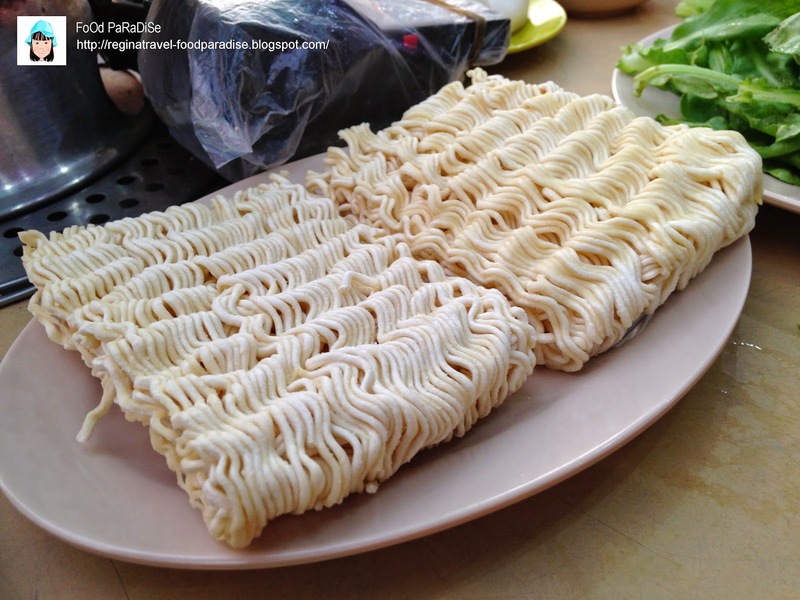 We just bought total 5pcs so total RM5. Each cost RM1. 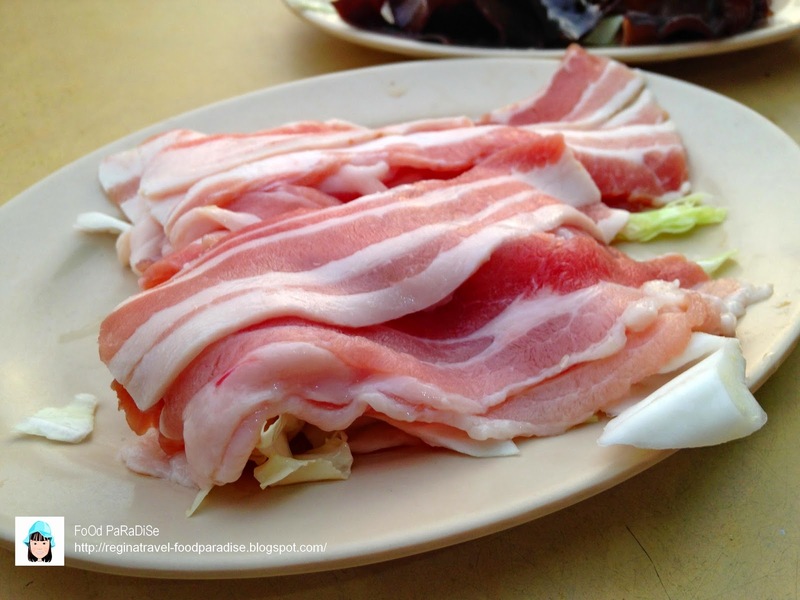 We tried out their Yew Char Kuih (油条), ham zi peng （咸煎饼) and 原味花子. 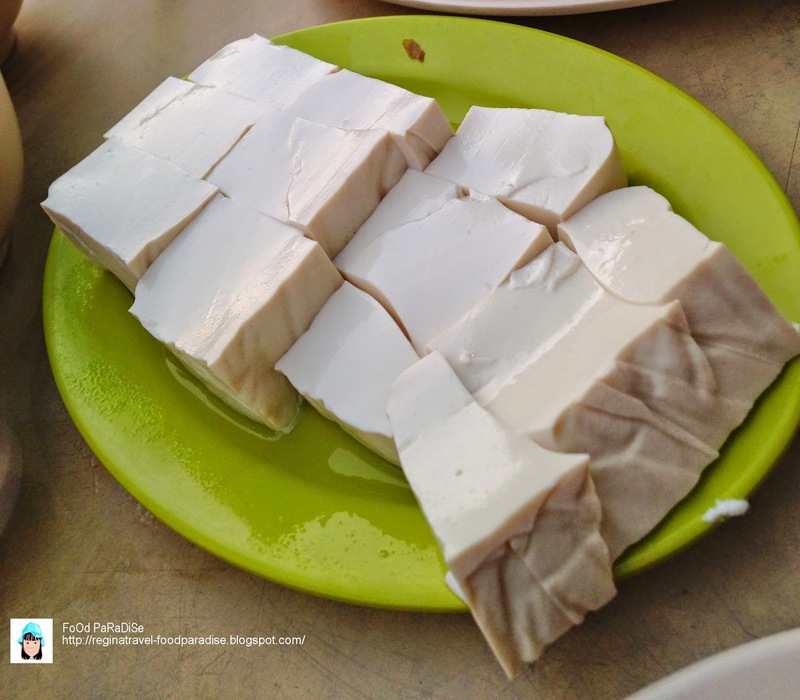 FoOd PaRaDiSe verdict: We tried this after several hours back from Raja Uda. Surprisingly that their Yew Char Kuih (油条), ham zi peng （咸煎饼) and 原味花子 still tastes so crispy and nice. However, I found that the Yew Char Kuih (油条) is bit salty. 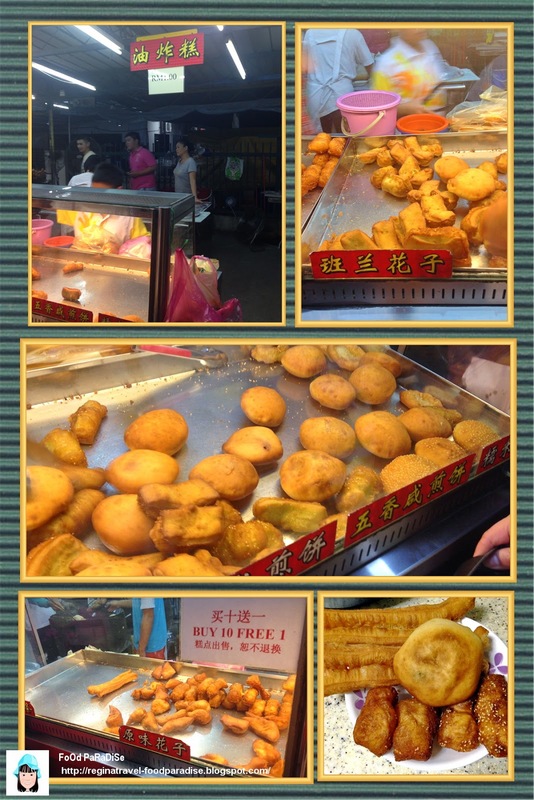 If you like something sweet, you can try their 原味花子. 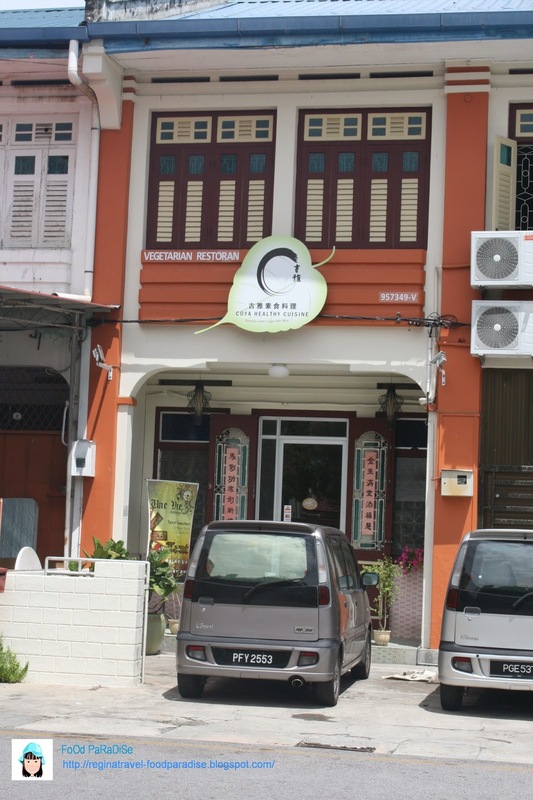 During a visit to Sungai Petani, we visited this restaurant. Hubby was been telling me about this restaurant lot of time but unfortunately I don't have the opportunity to visit it. As normally, we will have home cook food awaiting for us. So it was hard to savour this restaurant. There are quite full houses when we arrived. But luckily enough to grab a table for the 4 of us. So we started to order the foods. Hubby wanted us to try the roast pork and sausages but unfortunately all sold out and need to wait for the next batch. 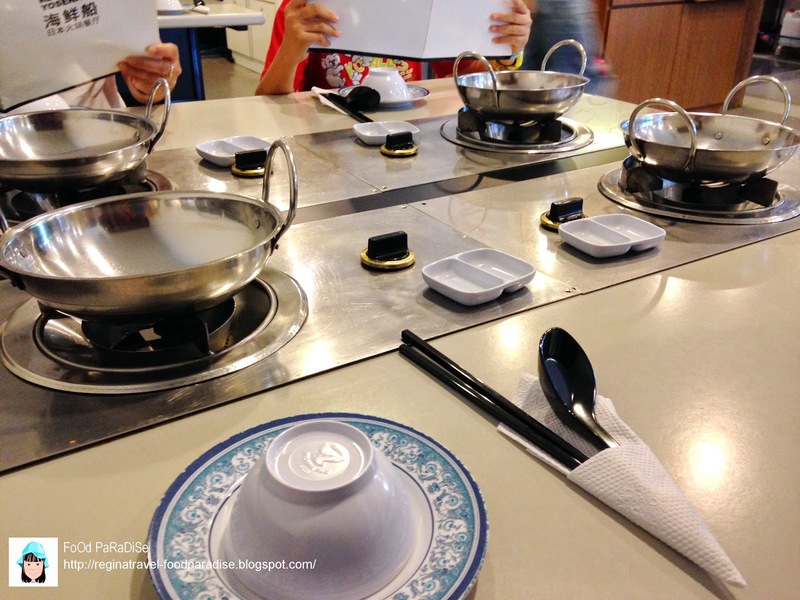 Since my daugther need to attend tuition session in Penang, we just tried other foods. 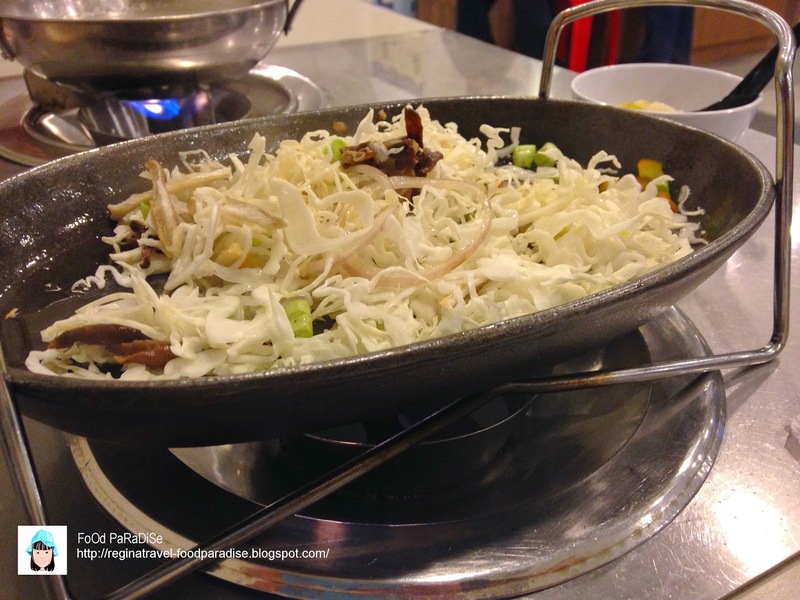 Will surely be back to try their other specialties. 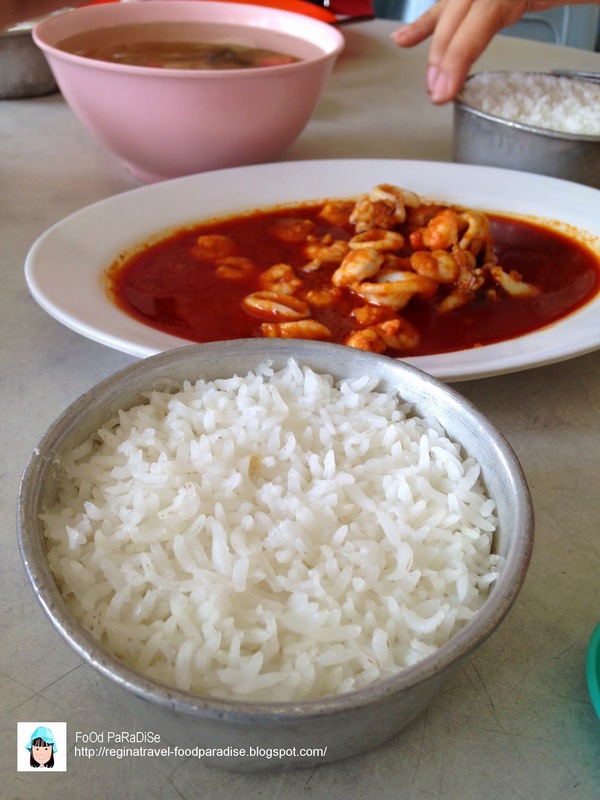 This sambal dish was not too spicy. So my gal loves to mix it with her rice. 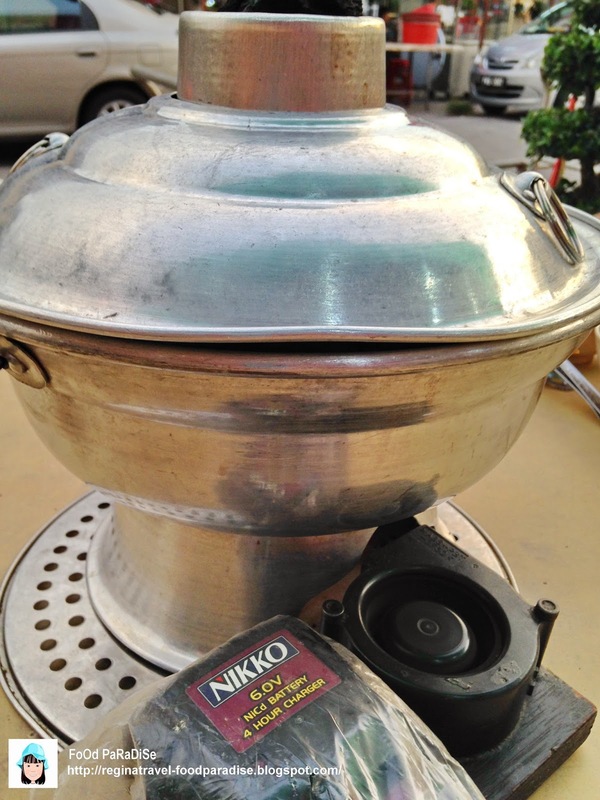 There are few restaurants on Sungai Petani that serves their rice in this kind of bowl. This soup looks so normal and nothing special but after the first sip of the soup, you will feel the different. The aroma of the peanut filled the soup. 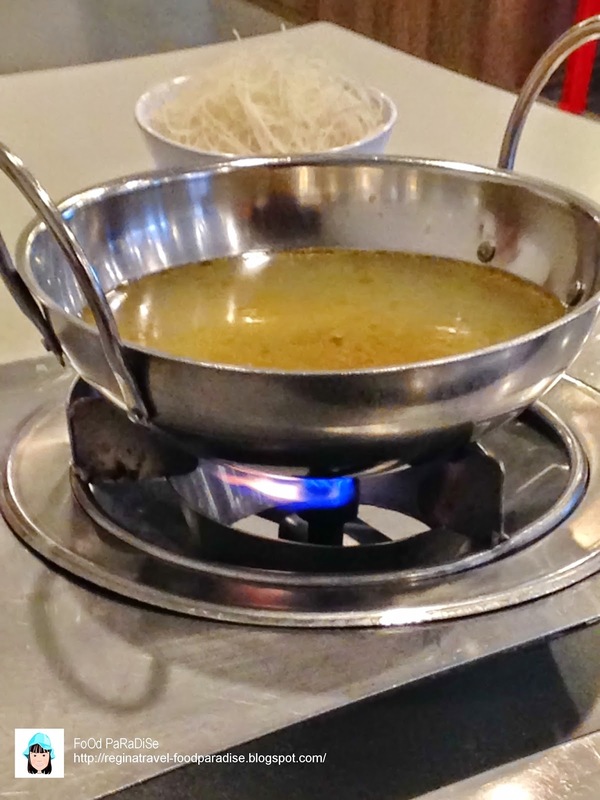 It's been quite a long time that did not savour the peanut soups. 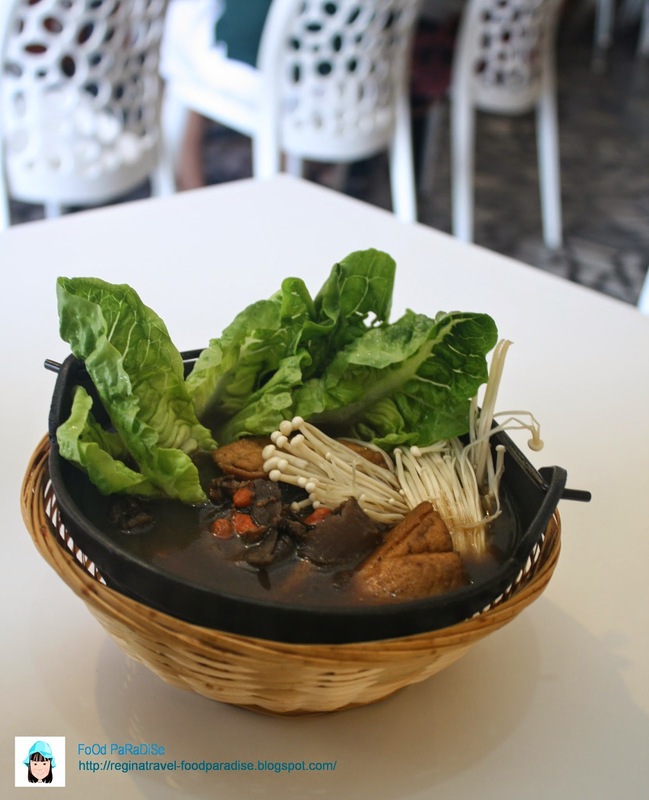 Usually restaurants will offer black bean soup. 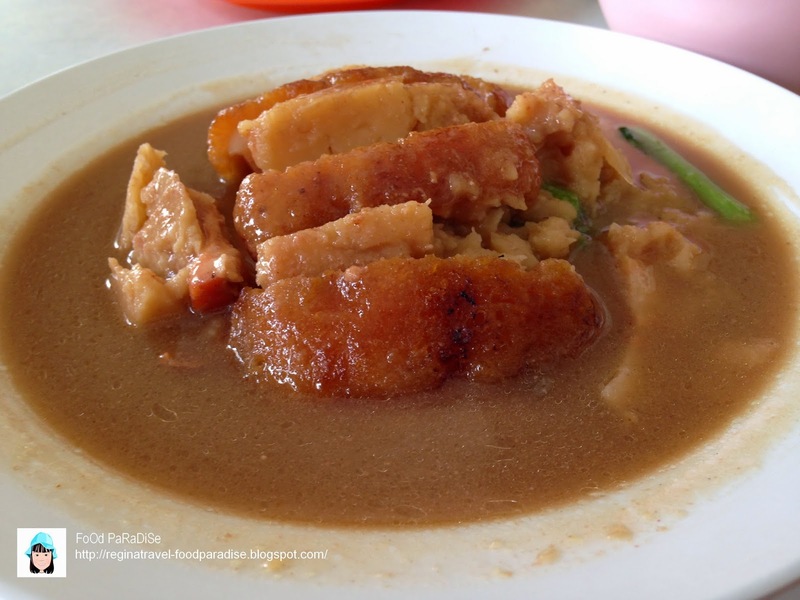 The braised pork is very tender and so as the yam. 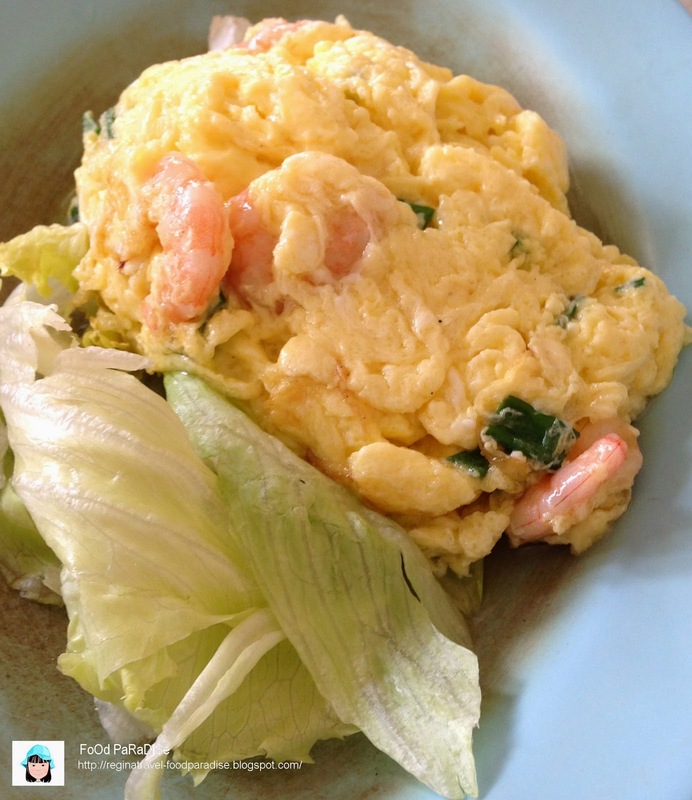 By the look of this dish is just a simple "Fu Yong Tan" but after you the first bite, it is more like the western style of omelette. FoOd PaRaDiSe verdict: The foods were simple and yet delicious. 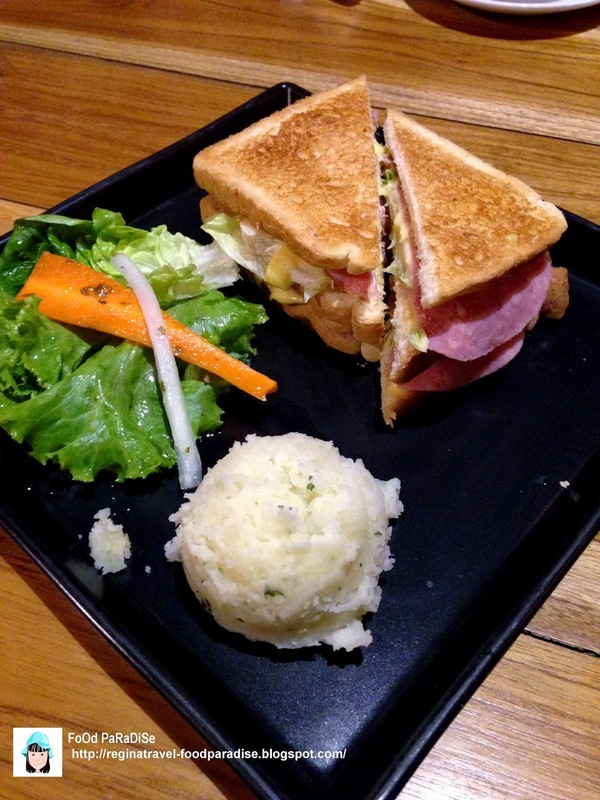 It is a place where you can have a quick lunch. The place is very clean and well maintain. 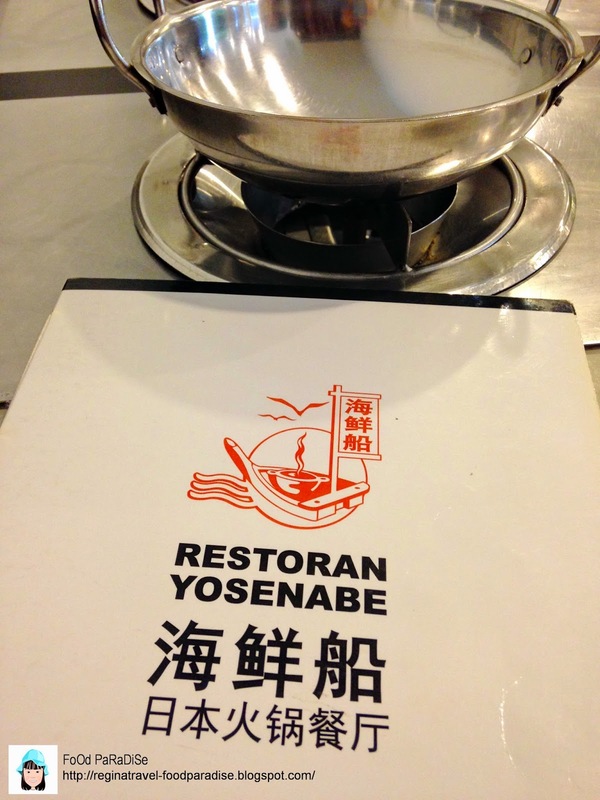 Restoran Yosenabe @ Bayan Point Medan, Bayan Lepas, Penang. Closed every 1st and 3rd Tuesday. Actually it's been long time that I did not dine in this restaurant. I think my last visit would be 12 years ago. Frankly speaking, I like the new outlook of this restaurant compares to the older one. Perhaps this one looks brighter than the older one. And location wise parking is quite easily get during at night. Few weeks ago while waiting at the round about, I was looking at the Bayan point and I saw the "Restoran Yosenabe" shop. Then I told my family that perhaps we can give this shop a try after all this years. 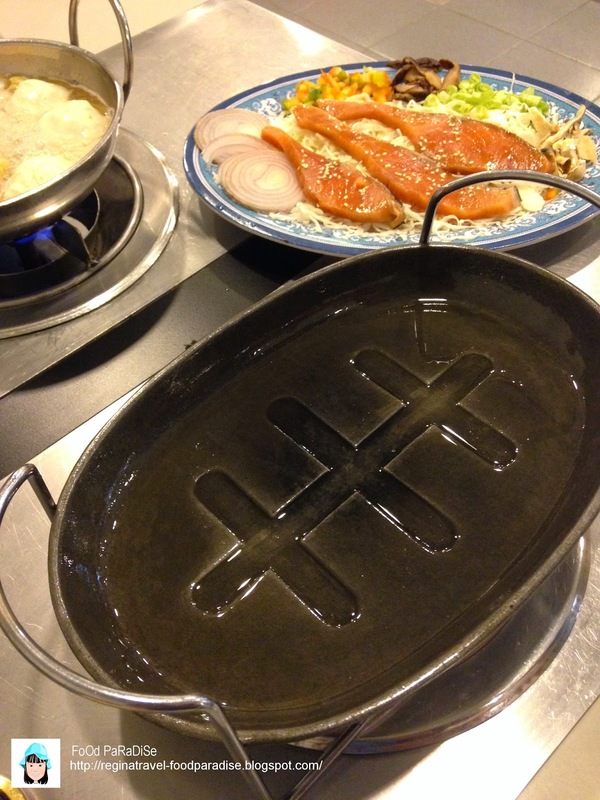 So during one weekday, lazy and tired to cook dinner, we visited this place. We were the first customer to arrive. We were well treated. Everyone in the restaurant was so friendly and came back and forth to our table during our dinning time. There are few tables occupied during our dinning experience here. 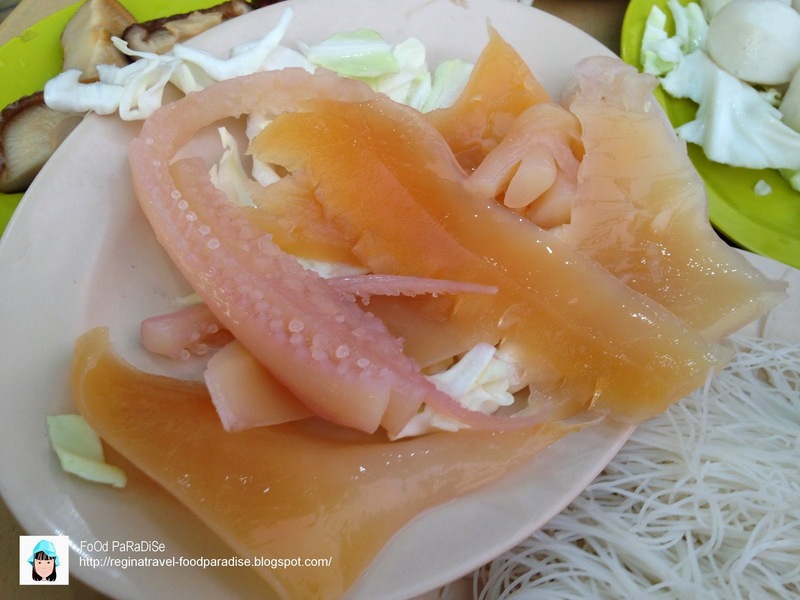 Which consist of fish balls, jelly fish, chicken fillets, cuttlefish, vegetables,squid balls, beancurds and vermicelli. 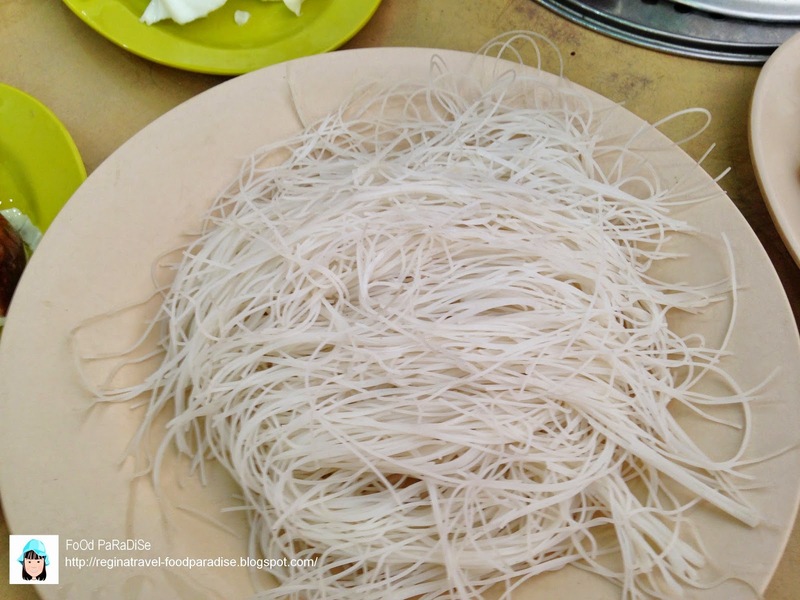 You can choose noodles too but we opt for the vermicelli. 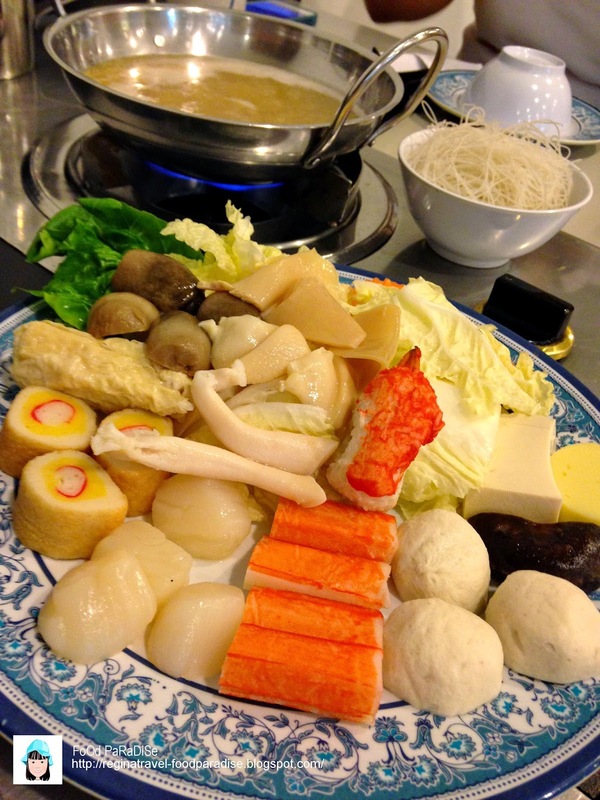 Consist of scallops, squid balls, crab sticks, crab claws, sea asparagus, pacific clams, mushrooms, vegetables, bean curd and vermicelli. You can choose noodles too but we opt for the vermicelli. 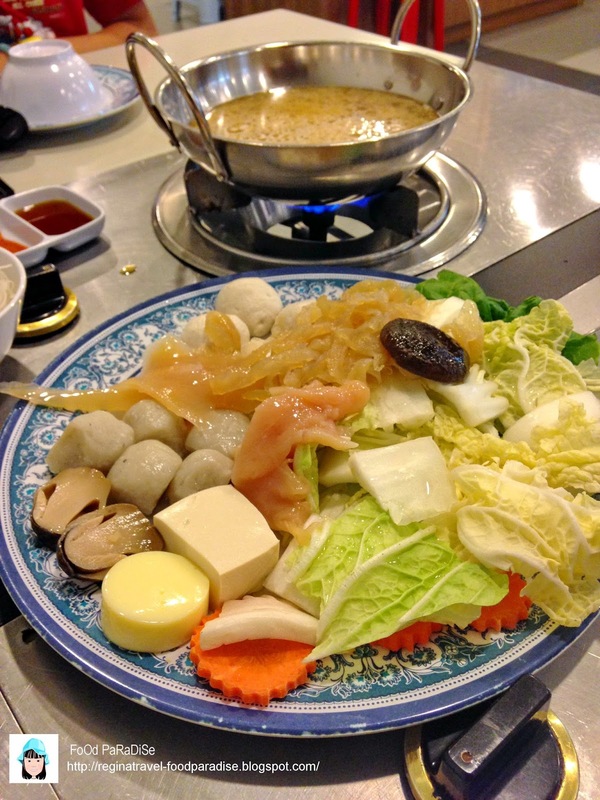 Consist of sliced Australian imported emu fillet, mushroom, vegetables, bean curd and vermicelli. 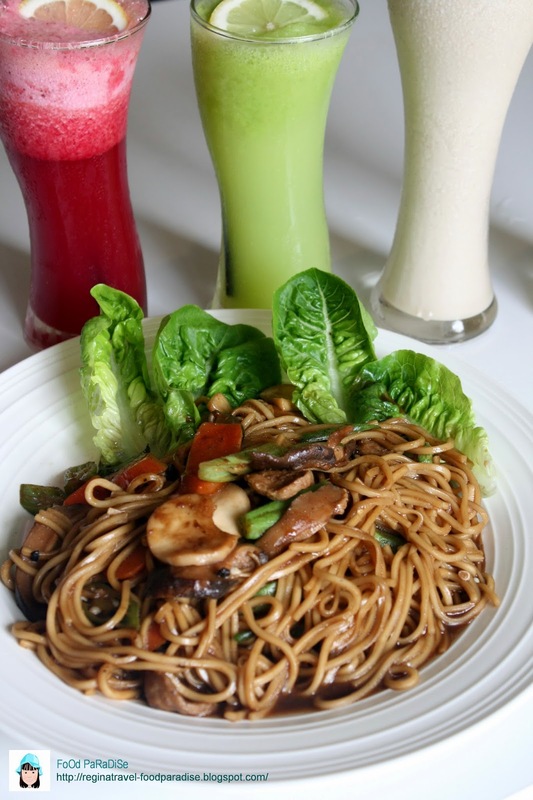 You can choose noodles too but we opt for the vermicelli. 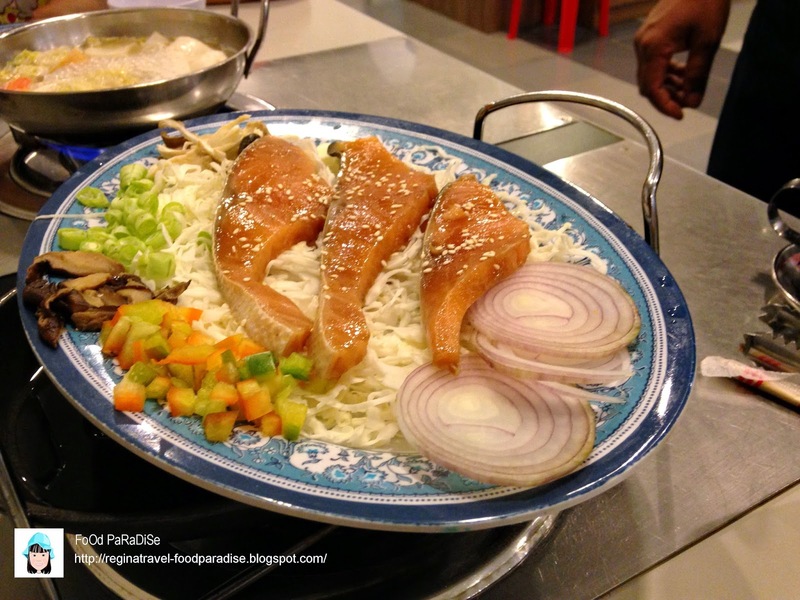 Consisit of sliced salmon fillet, cabbage, mushroom, capsicum, french beans and served with rice. FoOd PaRaDiSe verdict: The foods were simple and nice. The place were clean and the services were superb.